Recent weather here in Chicago has been dreary, so I grabbed the last of my fresh garden tomatoes and basil, and created this colorful and healthy lunch in hopes to fuel up "my happy tank". Three days filled with cold and non-stop rain brings everyone down. Argh! What happened to an Indian Summer? My slow roasted tomatoes will make your kitchen smell like Nonna's house as they roast for several hours. If that smell can't make you feel all warm and happy inside on a dreary day, I am not sure what will. Food is comfort. it's just so good for you! I swear by my Paderno Tri-Blade Spiral Vegetable Slicer. Available at Williams-Sonoma. It is a game-changer when preparing apples, potatoes, carrots, cucumbers, and zucchini! 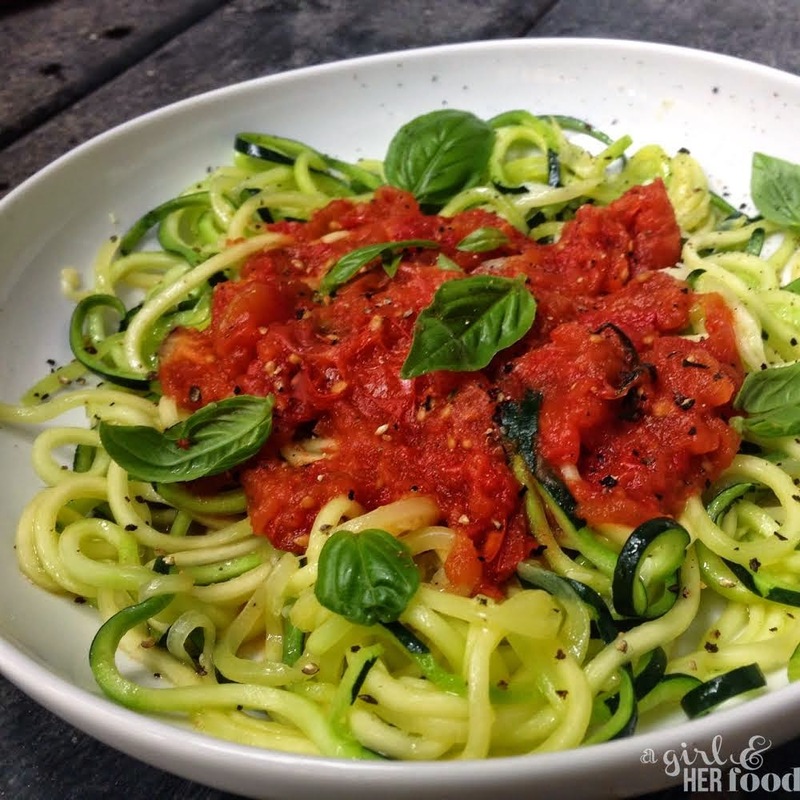 Zucchini is rather moist, however, so you should rinse them even if you plan to consume the noodles raw. If boiling or sautéing zucchini noodles, you should place the noodles inside a colander tossed with a teaspoon and let the noodles drip dry for 20-30 minutes. When done, rinse the noodles and wrap the noodles in paper towels and squeeze gently to absorb as much excess moisture as possible. 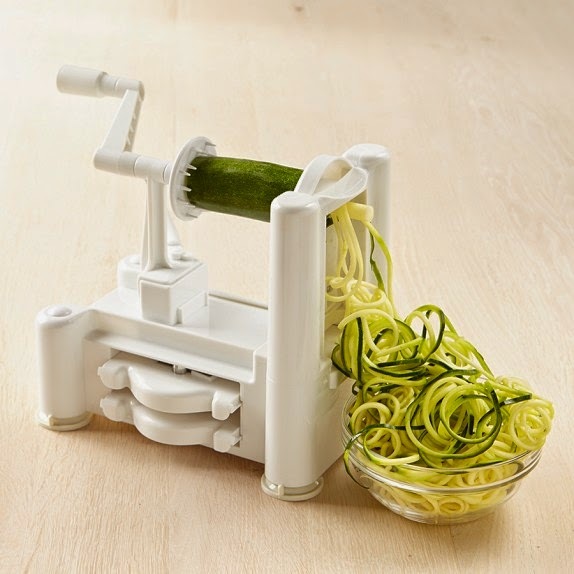 Slice off the ends of each zucchini, set in Paderno vegetable slicer to create noodles. Top with slow-roasted tomatoes or slow-roasted tomato marinara and fresh basil leaves. Season to taste with fresh ground pepper. 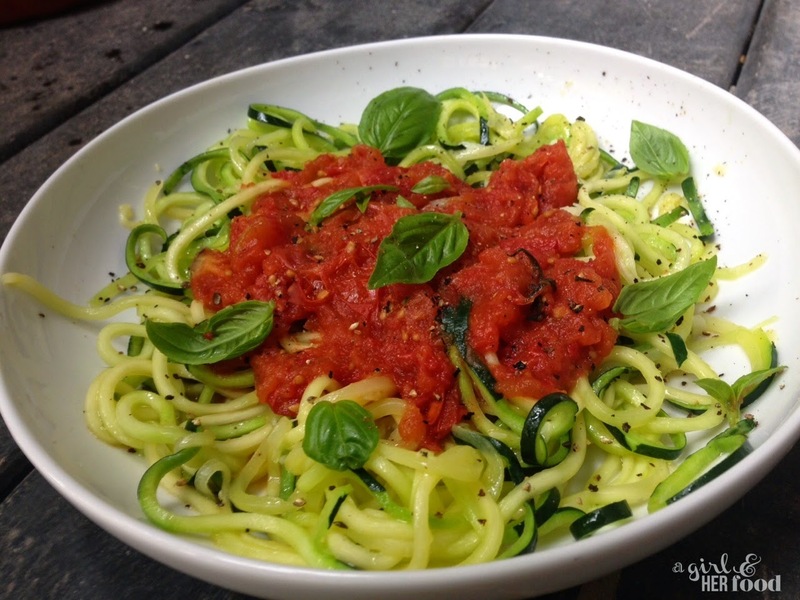 Slice off the ends of each zucchini, set in Paderno vegetable slicer to create noodles. Once the noodles are created, place the noodles inside a colander tossed with a teaspoon of slat and let the noodles drip dry for about 20-30 minutes. When done, rinse the noodles and wrap the noodles in paper towels and squeeze gently to absorb as much excess moisture as possible. In this recipe, I sautéed the noodles with some olive oil and minced garlic of one clove. Heat your skillet or sauté pan over medium-high heat with about a tablespoon of olive oil. Sauté the noodles and garlic for about 6-7 minutes, stirring frequently. 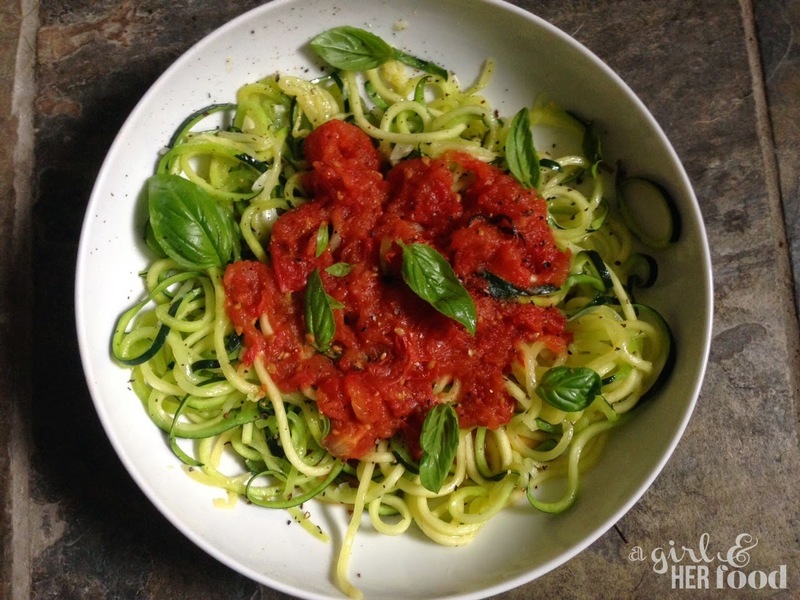 Top with slow-roasted tomatoes or slow-roasted tomato marinara and fresh basil leaves. Season to taste with fresh ground pepper. Enjoy!